Did you know that the way you eat is responsible for 80% of the way you look and feel? YES. 80! So, if you want to speed up the body transformation process and REALLY SEE all the hard work you'll be putting into PIIT28, then you need to pay attention to how you are fueling your body. That is why I created The 28 Day Reset. I'm going to help you reset your body and fight off stubborn fat, bloating and acne while improving your energy levels - in just 28 days. But don't worry, you're not going a diet and you won't feel deprived. This will help you discover any food sensitivities you may be unaware of. You may find that certain foods give you acne, while others make you uncomfortably bloated and lethargic. Our goal is to find unhealthy trends and kill habits that don’t feel good. After you finish the 28 day omission challenge, you will feel lighter and tighter all over. This is because the challenge will flush out extra toxins in your body and cleanse you from the inside out. It’s amazing. I’ve done this 28 day omission challenge before photo shoots and big events with a very noticeable drop in my body fat percentage. Paired with PIIT28, you’ll be unstoppable! After you complete the first 28 days, I will show you how to safely add back in the foods that are optimal for your body. You will learn how to be your own best nutritionist, as you are the expert of your body. Note that these are digital downloads and no physical books will be mailed. The entire nutrition guide is just $69. 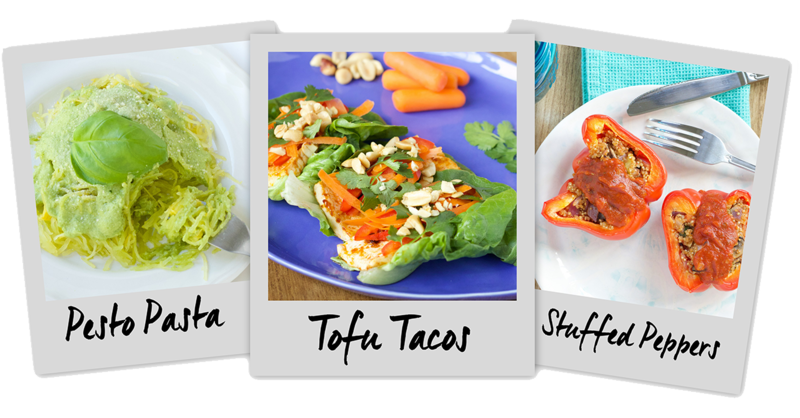 Over 150 recipes and freedom from stubborn fat, bloating and acne...for the cost of dinner for two? I'd say that's more than worth it. 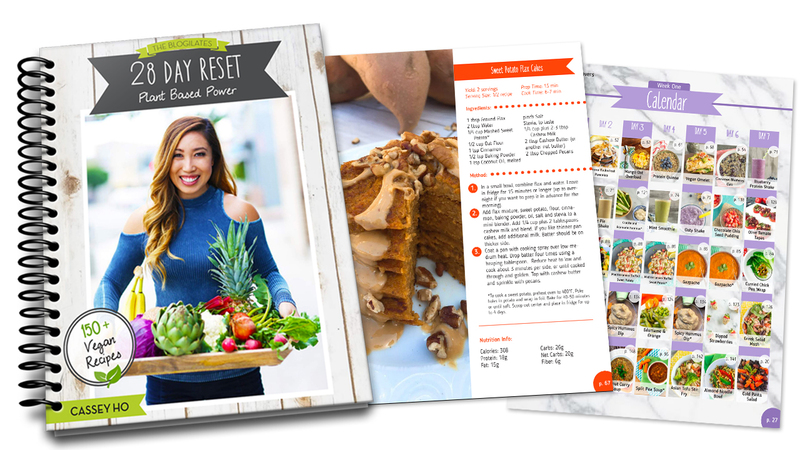 And if you're a veggie lover, I also have the Vegan 28 Day Reset available too! 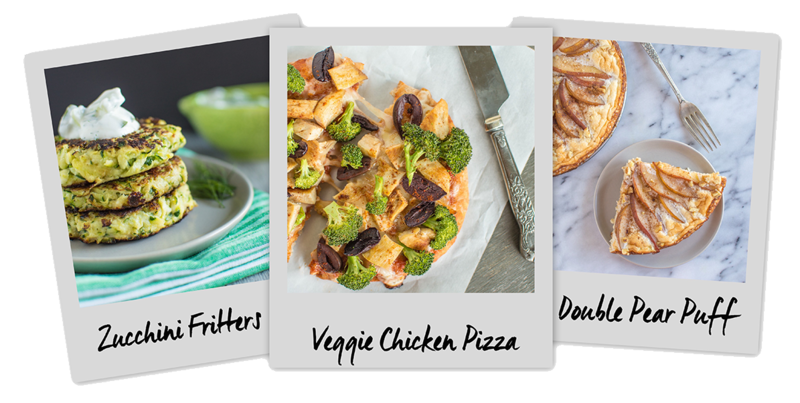 The recipes are plant-based in the strongest sense. I think you will be very pleased! I mean...don't these meals look incredible?! If you want a truly amazing transformation, you need one more thing. 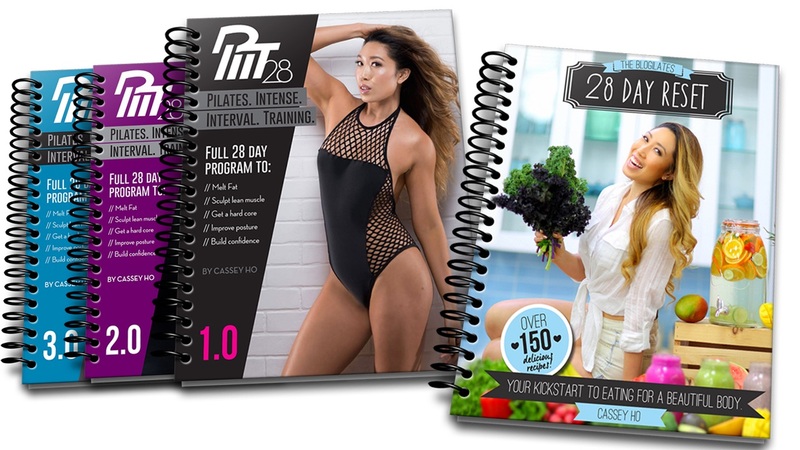 So basically, for just 30 bucks more, you get THREE PIIT28 programs too. Umm. THAT IS A STEAL! And yes the $99 Transformation Pack deal is also available with the Vegan 28 Day Reset! Click here. Please note that all purchases for digital downloads made on www.piit28.com are non-refundable and non-exchangeable. 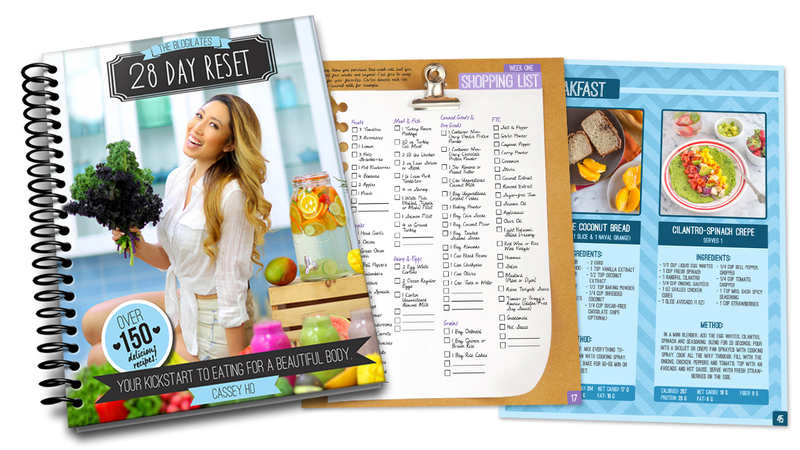 The 28 Day Reset Nutrition Guide e-book only. 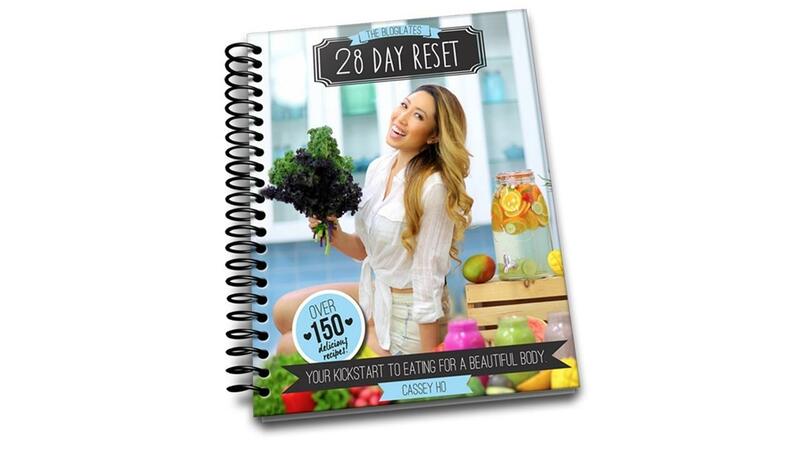 The Blogilates 28 Day Reset Nutrition Guide E-book - VEGAN only. The 28 Day Reset + PIIT28 1.0, 2.0, 3.0. The 28 Day Vegan Reset + PIIT28 1.0, 2.0, 3.0.